On the 13th (Wed), contemplate the long history of San Juan National Historic Site, appreciate the extensive heritage of Old San Juan, and then appreciate the extensive heritage of Paseo de la Princesa. For reviews, maps, other places to visit, and more tourist information, go to the San Juan attractions website . The Route module shows you travel options from your home to San Juan. Expect a daytime high around 34°C in February, and nighttime lows around 26°C. 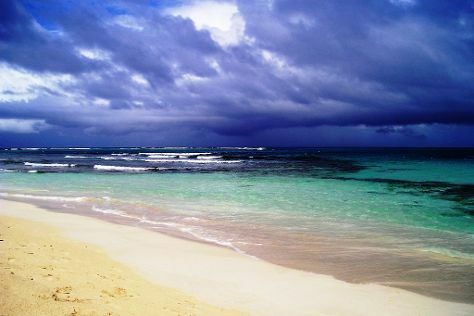 Wrap up your sightseeing on the 13th (Wed) early enough to fly to Culebra. Kick off your visit on the 14th (Thu): browse the collection at Culebra Public Library and then enjoy the sand and surf at Flamenco Beach. To see reviews, ratings, more things to do, and other tourist information, read Culebra trip planner. Culebra is just a short distance from San Juan. In February, plan for daily highs up to 34°C, and evening lows to 26°C. Wrap up your sightseeing on the 14th (Thu) early enough to fly back home.